Does this matter? Yes if you want a competitively priced maintenance contract, spares and service provision. Over its working life a UPS system will require replacement of some consumable items; namely batteries, fans and capacitors. Fans and capacitors are general components that could need replacement during years 8-10 of operation. Batteries should be replaced around years 3-4 and 7-8 for 5-year design life and 10-year design life batteries. Batteries, fans and capacitors are normally available off-the-shelf or on short lead times. They can be fitted by a technically competent and trained engineer. Problems can arise if the firmware inside the UPS requires a reset or notification that a component has been replaced. For this, UPS system will require communication with the manufacturer’s UPS management software packaged to update its logs and clear alarms. Without a reset, alarms may continue and performance affected through miscalculating algorithms for battery runtimes. The software package used by the UPS engineer to communicate with the system, read alarm logs and reset factory level information will be security coded, with an annual license and dongle protection. The point to note is that UPS manufacturers restrict use of the software required for field service and maintenance to support their approved resellers and service partner networks. Warranty terms may also further support this with work ‘only to be carried out by authorised or certified engineers’. Warranty can also be voided if a UPS is commissioned or serviced by a non-certified engineer. As in many capital goods industries, service work is of course a revenue generator for UPS manufacturers, resellers and their service partners, whether they are manufacturers or power protection resellers. Closed-protocol systems protect revenue streams and limit clients to whom they can turn to when they need service work or a UPS maintenance contract. Open-protocol systems allow market forces to come into play as a wider number of companies can provide engineering services. Care has to be taken however as some of these engineers may have rogue copies of the software or no longer be fully authorised. There are a small number of open-protocol manufacturers in the market including Huawei and Riello UPS. Whilst they do limit distribution of their service software to certified engineers, these manufacturers tend to have a far wider network and number of potential engineers that an end-user can turn to. This leads to increased competition, lowering installation, commissioning, service labour, travel costs, UPS maintenance contract, parts, batteries and service costs. Our advice is to check always to check the whole lifetime costs before investing in an uninterruptible power supply. Some companies tend to ignore a quoted UPS maintenance contract and perhaps only take this out after purchase and towards the end of a warranty period. 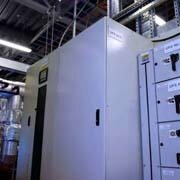 Others accept a general UPS commissioning charge which may be priced low as part of the initial system price. Firmware is the complex code that runs your UPS system and during its lifetime, its engineering development is ongoing. New features may be added but more than likely bugs and tighter running code will be introduced. Firmware upgrades are therefore an important consideration when it comes to maintaining your UPS system and another reason to use a certified engineer with access to the latest firmware updates. In summary, selecting an uninterruptible power supply, whether it’s a single phase or three phase UPS system is not always about the initial investment. As part of the UPS quotation, ask for a sample UPS maintenance contract and the terms and conditions that go with this. As an independent power protection company EcoPowerSupplies can help guide you to the right UPS system and competitively priced UPS maintenance contract. Call us for a free assessment on 0800 612 7388. We work with all the major UPS manufacturers and can provide in-house service to support the systems we install.